Righto. I've decided that i need (okay, want) to get myself a welder..... As in the kit, not the person. So, given that I know there's at least one pro on here, I thought I'd pick your brains. I'm really just looking for something to have a play about with and eventually just stick together the odd bracket or two, so very very basic use. I'm thinking something along the lines of a cheap stick welder. I'm well up on weld theory, capacity calcs, etc.... But my practical experience is limited to sticking the electrode to the substrate several times in a row and getting laughed at for my cack-handedness. So, any advice would be much appreciated in terms of what to be looking for in terms of kit. I have wee Ferm Concept 1500 which is great for what you described. Got mine second hand for £30 hardly used. Runnach will be along shortly with proper advise. Last edited by caledonia; 07-04-2019 at 17:51. Some of the R tech stuff is well priced and good quality.... 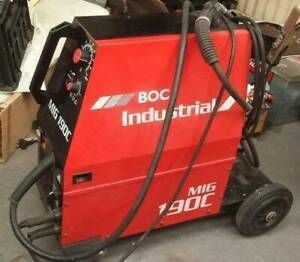 I use a BOC 190 (bit of a beast BUT will deal with landrover chassis as well as thinner stuff etc. Depends what you need BUT a cheap nasty welder is painful... Practice practice practice is also a good plan. I got rid of all my kit bar my pre 1991 240V 140 amp SIP buzz box, which is till going strong, I know the dates as I was working with Scientific Atlanta at this time. Cost me 40 quid from my weld rep.
SIP brand is very good for DIY type work, in fact, when I mage my boat trailer, I nailed it with my SIP buzz box. However, with the advent of inverter technology, I would certainly look into at the newer tech available. If you want any further info, gimme a shout. Oh, most, if not all buzz boxes do not have a high open circuit, so E6013 electrodes are all you will burn, but they are suffice for DIY stuff. Hex is after an MMA plant, MiM. One point regarding old tech (buzz box) V's new tech (inverter) is easy arcing up at initial start up. I was just pointing out I bought a decent mig set to give me greater flexibility for welding thinner stuff too. Ah ok, I thought maybe wrong pic added. Yep Rtech are a decent brand too. Stupid question (I'll have a lot) it looks like anything over 125amp needs either hard-working or running off something beefier than domestic 13amp. Is 125 likely to be okay for basics (I know it's an open ended question) or am I better going for something beefier and just upping the input wiring/fuses/rcd accordingly?